To most off-road enthusiast, there seemed to be very few side-by-side niches left to fill for industry leader Polaris. While the Minnesota based company wasn’t the innovator of the concept, they most certainly applied the accelerator the hardest when the market was experiencing its initial boom. This hard-push has resulted is a line-up flush with options from work to play and everything in between. What more could they possibly do? 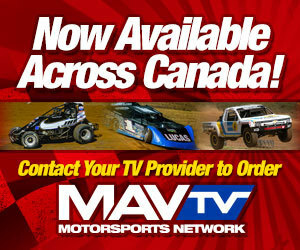 The answer came to us during a sneak peek invitation only event at ERX Motor Park in Elk River, Minnesota last fall. The event was a mash-up of activities including a media first ride, manufacturer photography and video shoot, and a social media exhibition race. While the day turned out to be a hodgepodge of activities, the true star of the day was the new RZR RS1. 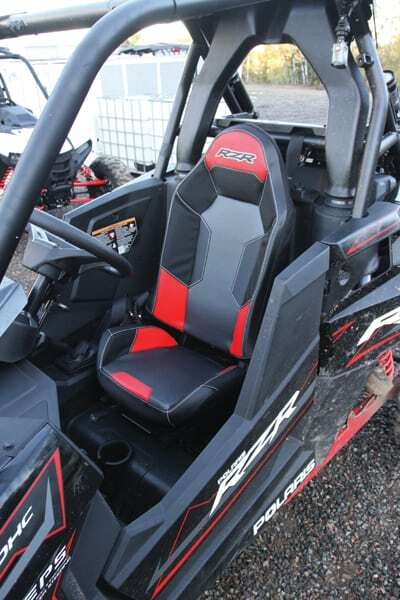 At face value, the new RS1 appears to be a simple execution of transforming an existing RZR into a single seat vehicle. While a first glance appearance will confirm this take, a deeper look reveals a buggy with greater engineering and purpose-built intentions. The basic design principles used to create the new RS1consists of three main areas of focus. Make the vehicle lighter and more balanced; make the vehicle more driver centric; and make the vehicle tough as nails. 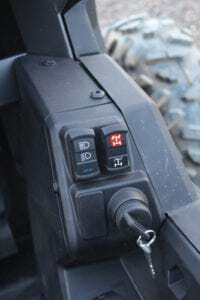 While we can’t vouch for the third element until the RS1 gets into the always abusive hands of the customer, the Polaris engineering team delivered elsewhere. At first blush, the 64-inch stance of the RS1 would lead you to believe the foundation of the vehicle sits atop an XP1000 chassis. You’d be mostly right, but the engineering design team looked for ways to trim weight and in the process, shorten the wheelbase by 7-inches to a nimbler 83-inches, compared to the stretched 90-inch wheelbase of the RZR XP1000. Staying put was the 110-horsepower Pro-Star 1000HO. While the shorter wheelbase certainly contributes to the nimble and quick to react nature of the RS1, undoubtedly, it’s the centralized driver position playing a much larger role. Moving the driver to middle of the chassis not only allowed Polaris to remove unnecessary hardware and body panels, it more importantly resulted in a vehicle with far greater centralized mass. The RS1 is more balanced, both from side-to-side as well as fore-to-aft. 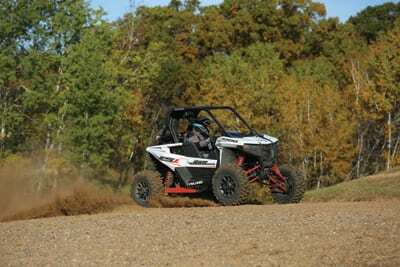 Send the RS1 off a berm and the buggy takes flight with a slight “nose-up” attitude, something other RZR models can’t replicate without modification. Flying flat is nice, but the centralized mass delivers far more satisfying results when the trail gets twisted. Crank the wheel with abruptness and the buggy reacts with instant results and greatly reduced body roll and unwanted inside tire lift. This is especially true when turning left; a situation where a traditional side-by-side would be more weighted to the driver’s side. you to more accurately decipher the attitude of the vehicle. 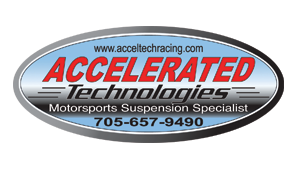 This allows you to make better driving decisions with greater accuracy. From outside looking in, the centralized cab of the RS1 doesn’t look much different, but once inside you’ll find more room which allows for elbows up rally riding. difference, especially in regard to arm movement. However, our 6-foot, 2-inch frame still felt cramped below the waist, and the two-stage, stepped brake pedal occupies more floor space, leaving little room for our size-13 boots. 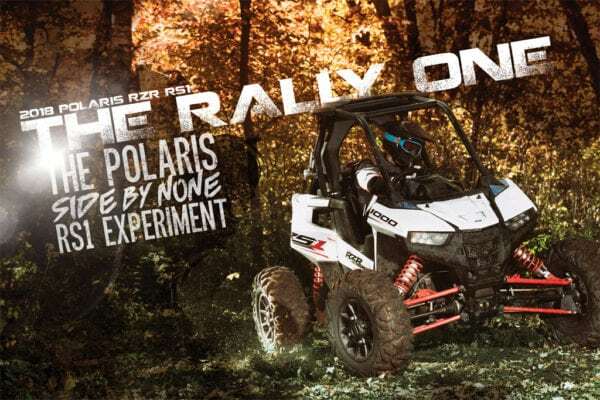 The Polaris crew likes to refer to the RS1 as a rally vehicle, and the race-inspired and intended nature is evident from the driver’s seat. 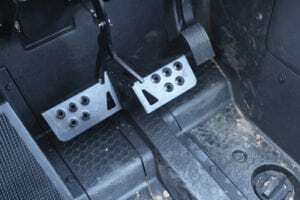 Beyond the aforementioned “stepped” brake pedal, which allows hard-core drivers to operate the RS1 two-footed (one on the gas and one on the brake), other elements such as standard five-point harness and side-mount controls further contribute to the race first design. Wide open body work fully exposes the tires, giving the driver complete visibility to select the ideal line. This is especially true in low-speed maneuvers such as rock crawling. Yet the unprotected design also leaves the driver susceptible to full blasts of roost from the front tire. From mud to sand to sticks and rocks, the RS1 can and will fling all types of debris into the cab. 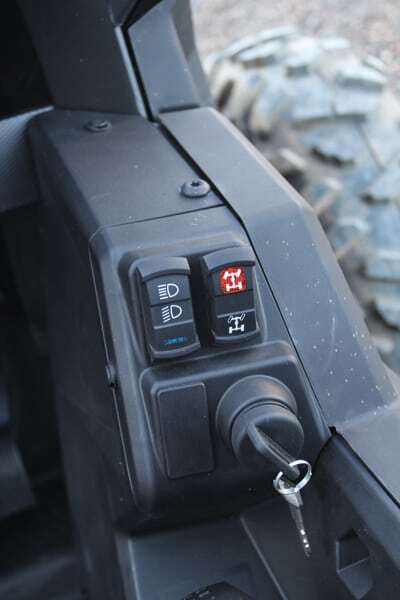 All vital controls have been moved from the front dash and located on left-hand side panel. edge at a price they can afford. On paper the reasoning makes perfect sense, yet while most often ride alone, having the ability to bring a friend or significant other still remains an important part of the decision-making process. For certain the price and the competition focused performance of the RS1 will make it reason enough to take a seat behind the wheel for some; especially in the Southwest US market where weekends with family in the dunes is a priority. Here a pair of RS1 vehicles would equal the value many families have in their one-vehicle RZR, opening up a two-for-one trade up opportunity. As for the rest of the market, the RS1 might be a tougher sell; but regardless, Polaris has the niche filled, even if no one else knew it was open.